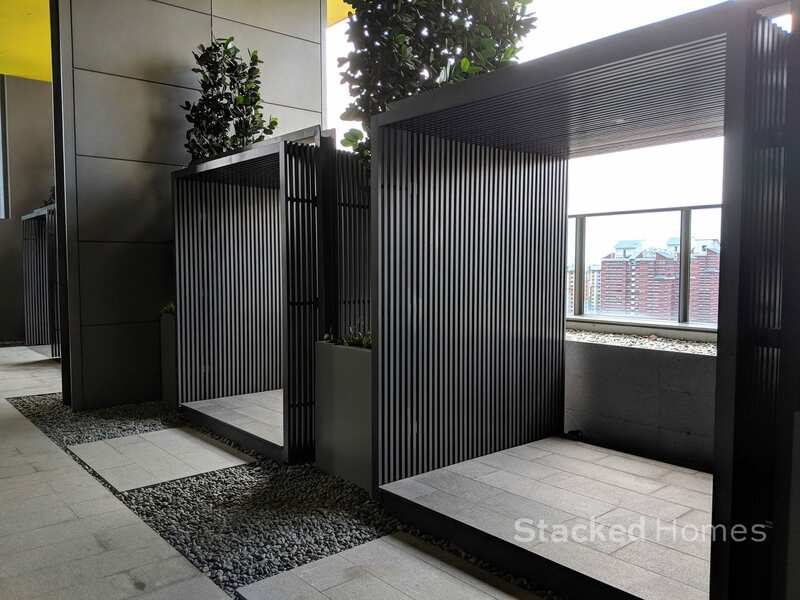 Sleek modern design, and convenient location. 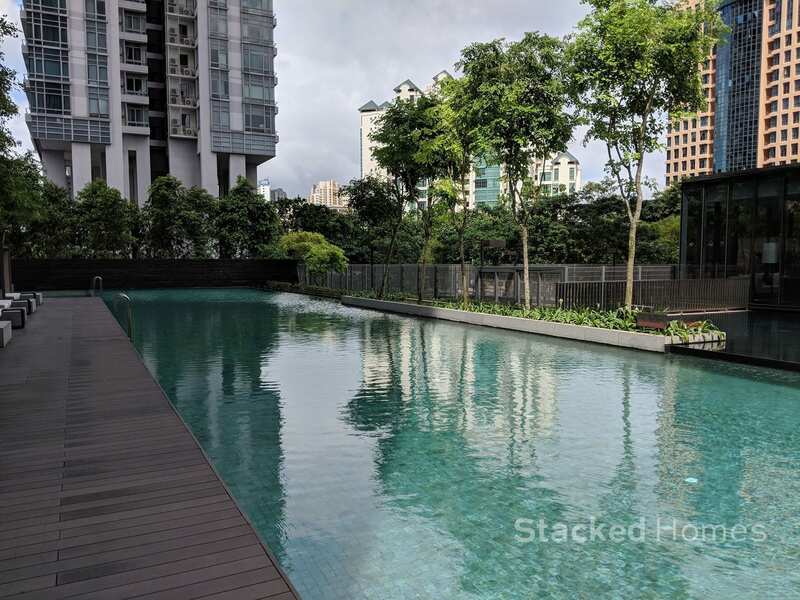 If you can snag a unit at a good price, it is our pick among all those condos in that cluster. 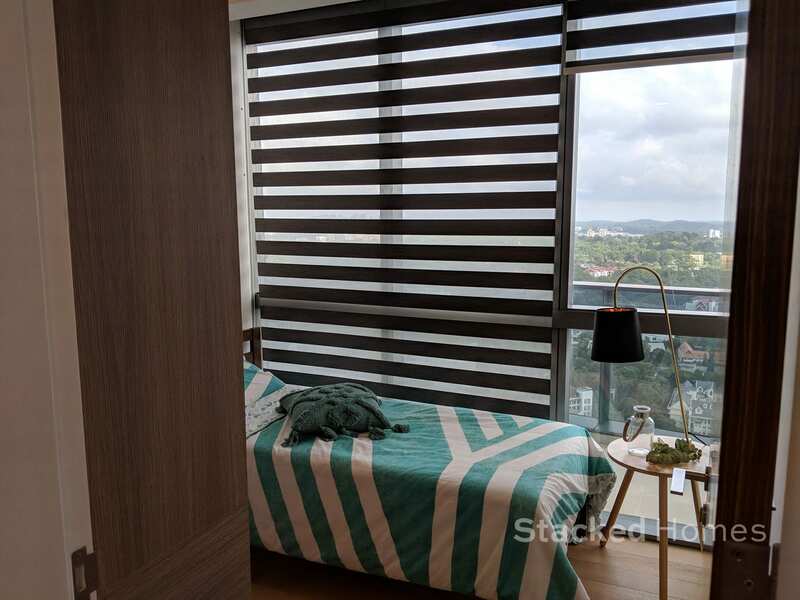 Echelon is an upscale looking condominium located at Alexandra View. 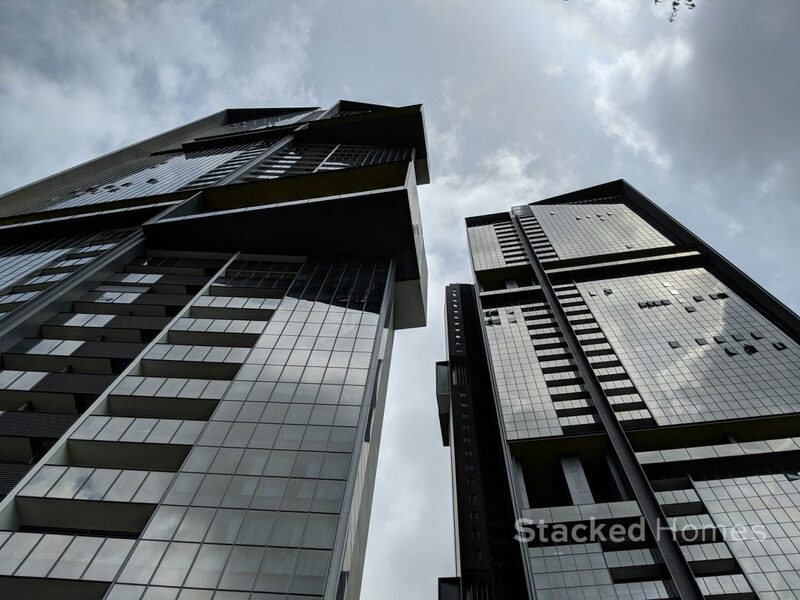 It was actually designed by SCDA Architects, the company behind many of the high end condos in Singapore. 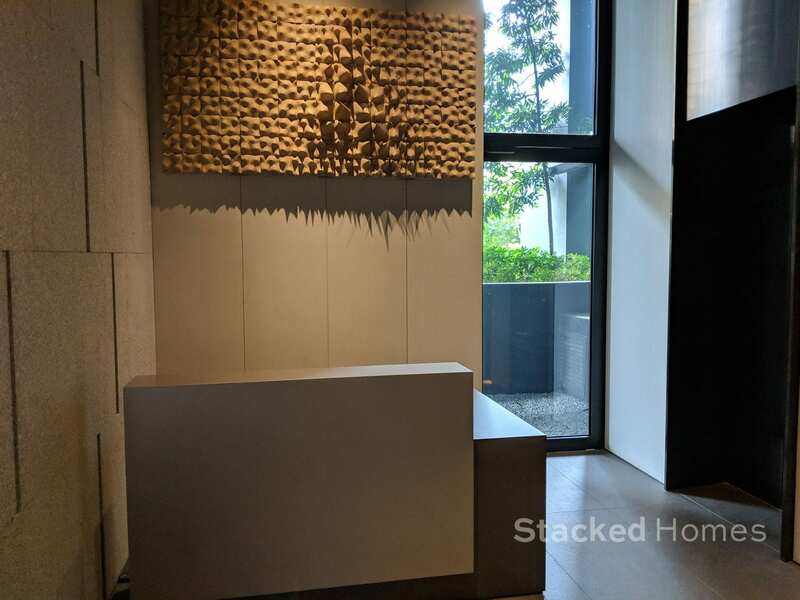 Just to give you a quick example, Leedon Residence, TwentyOne Anguilla Park and Cluny Park Residence. 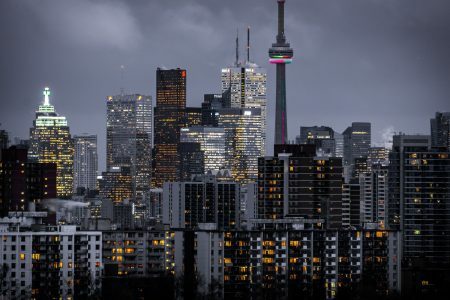 They are all trendy, modern and luxurious condos. 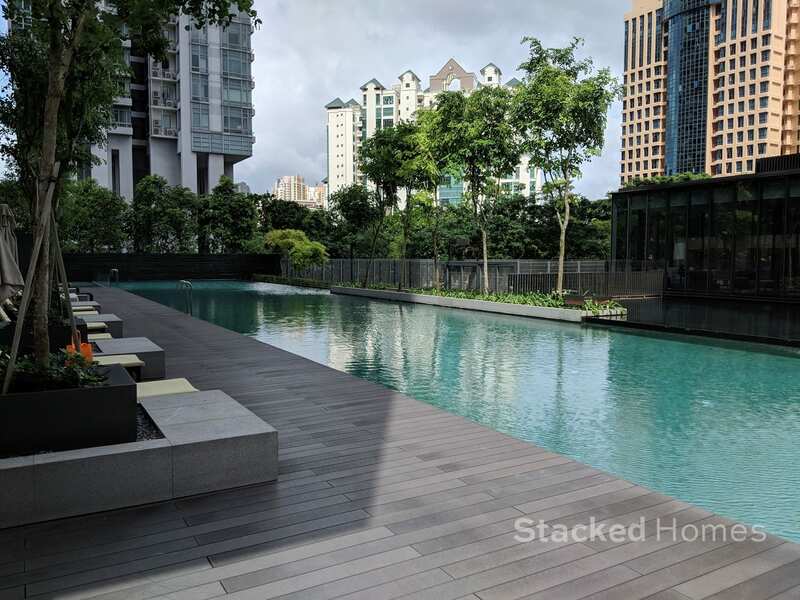 Which in our opinion, contributes to the Echelon condo being a standout out of the glut of new condominiums that have been built in the Alexandra area in the past few years. 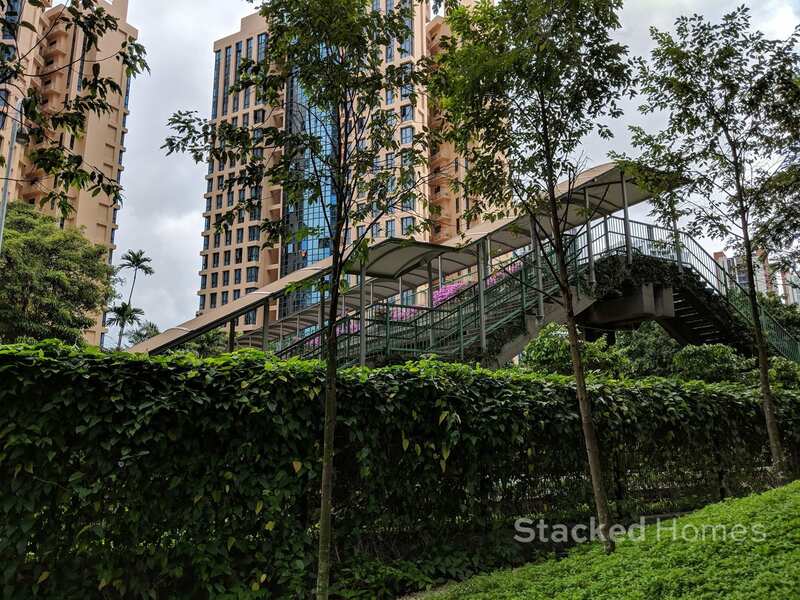 The Echelon is located along Alexandra View, which is along Alexandra Road. 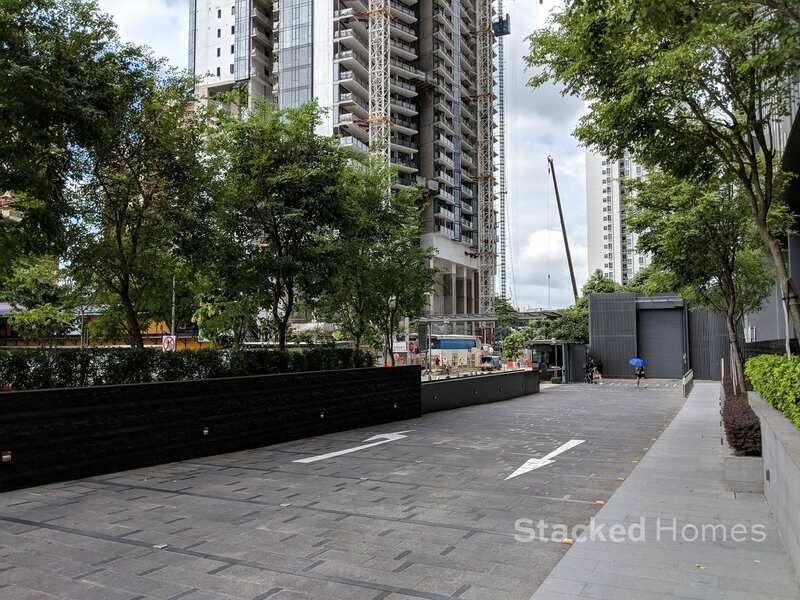 Alexandra road serves as a connector towards areas like Holland, Orchard and the River Valley and CBD areas. 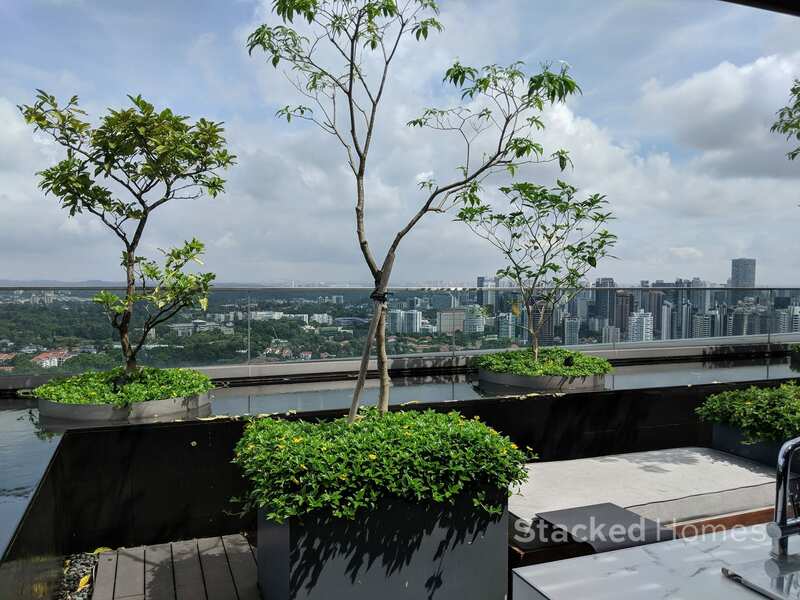 So you can expect to have greater levels of connectivity towards all the popular central areas in Singapore. For a city fringe project, the Echelon condo is really well positioned for all modes of transport. 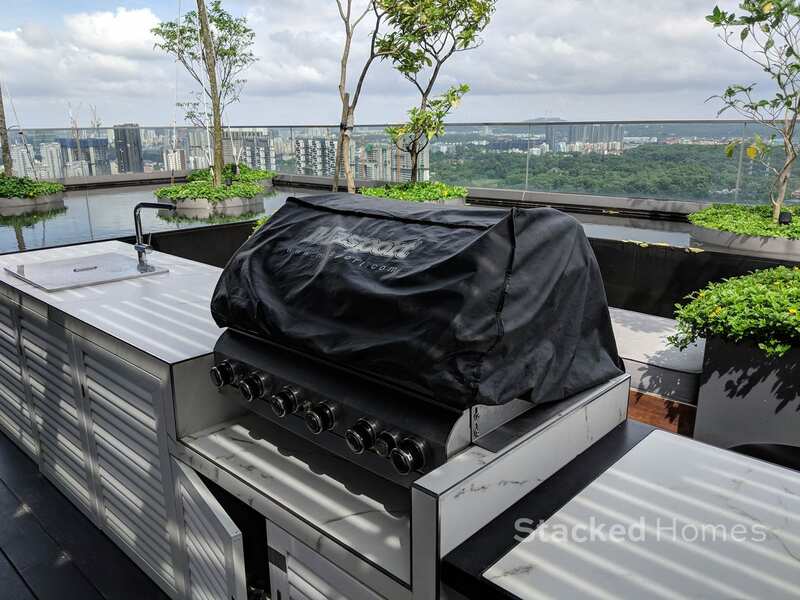 The biggest selling point is probably the proximity to Redhill MRT station. 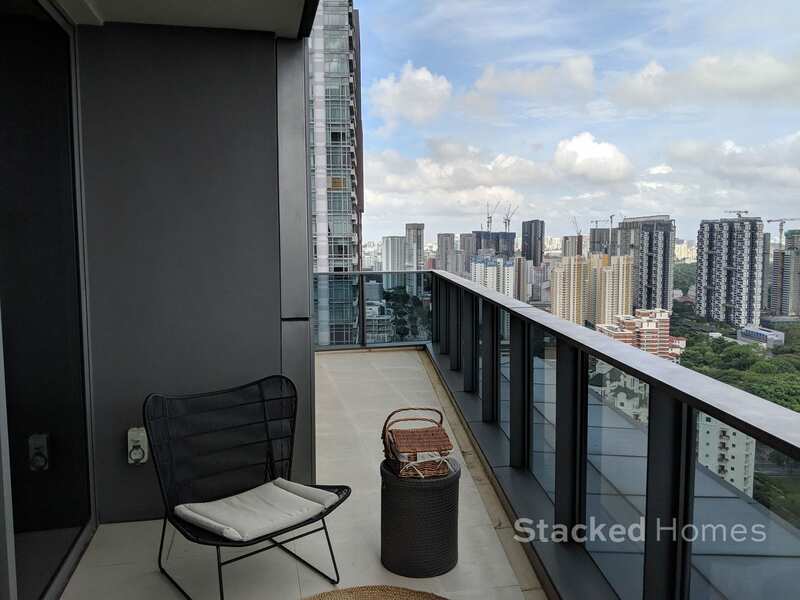 It is literally just a 5 minutes walk away from the doorsteps of the development, which is a good distance in our books as you get the convenience without the noise of living next to an MRT station. Redhill MRT is along the East West line, which is (fun fact) the longest MRT line in Singapore. 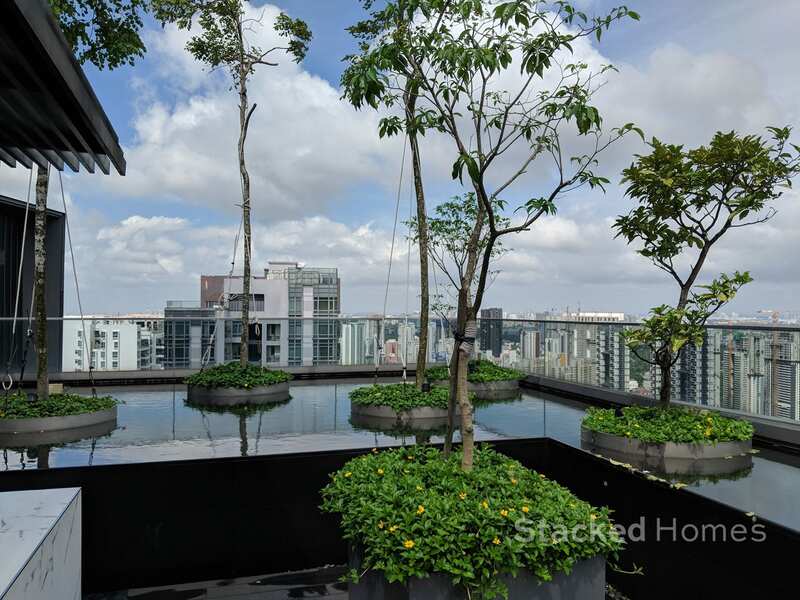 So if you happen to be working in the CBD area, it is just 2-3 stops away and it can take you all the way to Changi Airport as well. 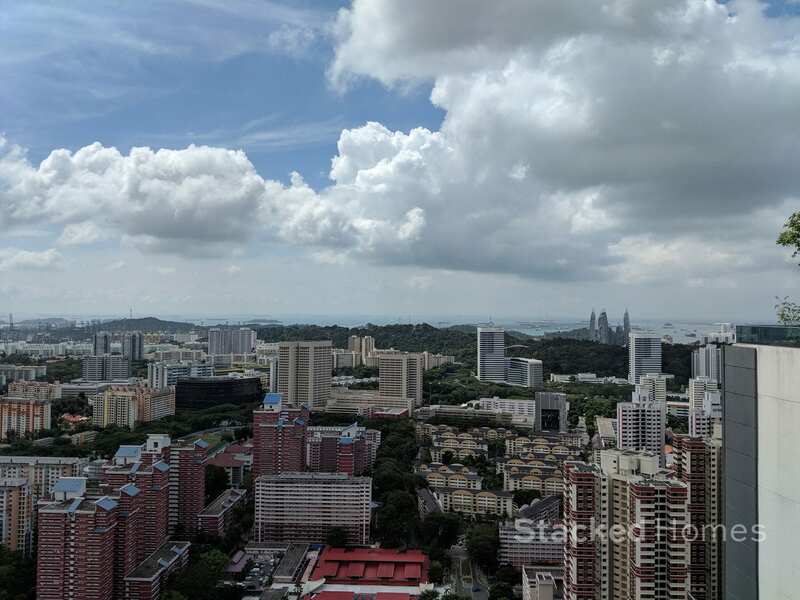 On the other hand, it can take you to areas like Clementi and Jurong East, meaning most of the major areas are covered from here. 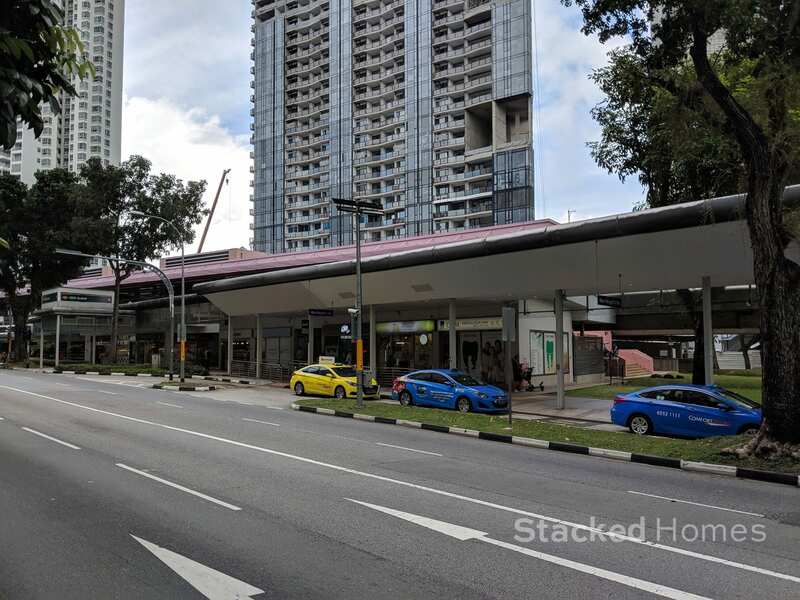 There is also a bus stop right outside the Echelon Condo that moves along Alexandra Road, and another bus stop located at Redhill MRT station itself. Let’s not forget – the park connector along Alexandra Canal allows you to cycle to the CBD in less than 20 minutes. Granted, that would be slower than taking the train, but if you are fit enough, the morning air and exercise will do you wonders. The park connector along Alexandra Canal allows you to cycle to the CBD in less than 20 minutes. 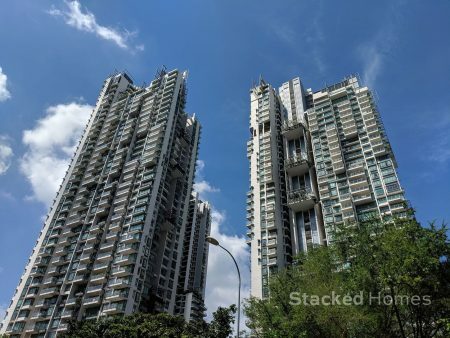 As a location itself, it is sandwiched between Queenstown, Redhill and Tiong Bahru. All of which are mature estates and offer lots of amenities and food options. 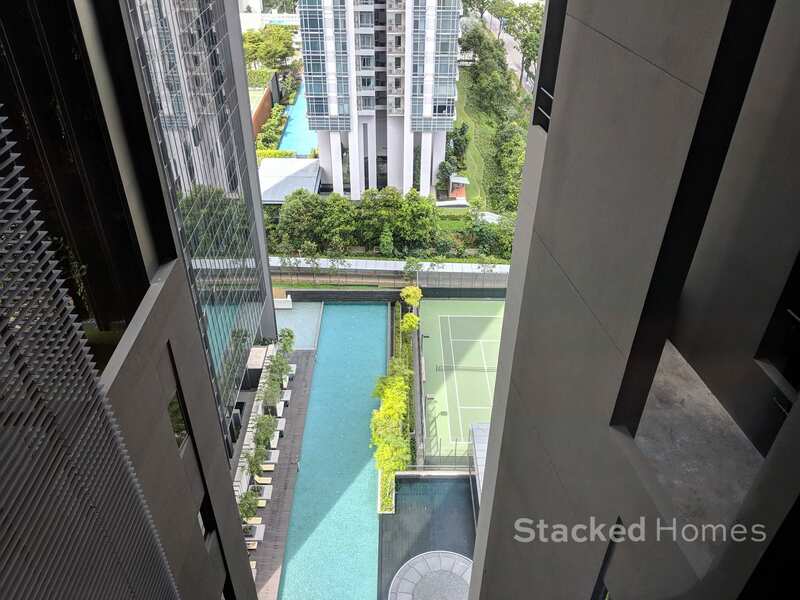 One crucial addition (when ready) is the Artra – as the bottom of the condo will supposedly contain an NTUC supermarket so it will be really easy for you to get groceries. Even at Redhill MRT station, there are quite a few food options. 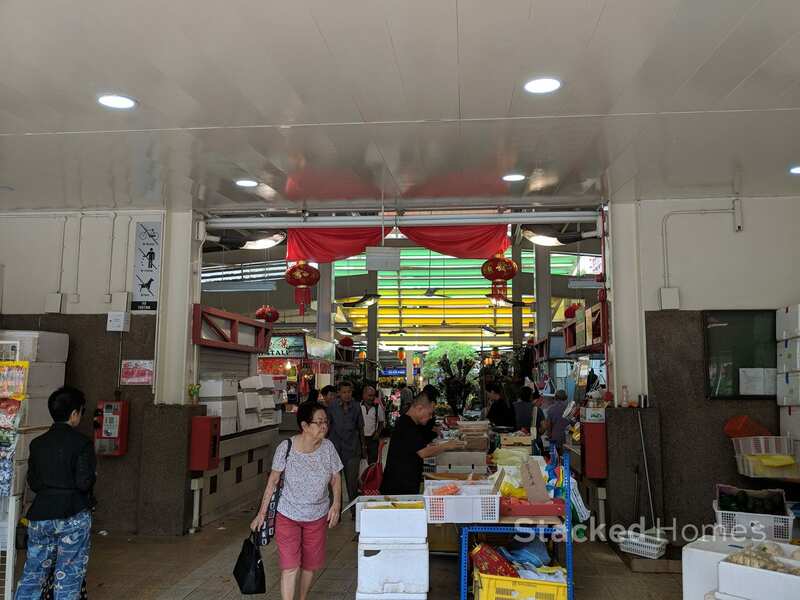 Once you cross the road, you will get to the Redhill wet market as well as the hawker centre. 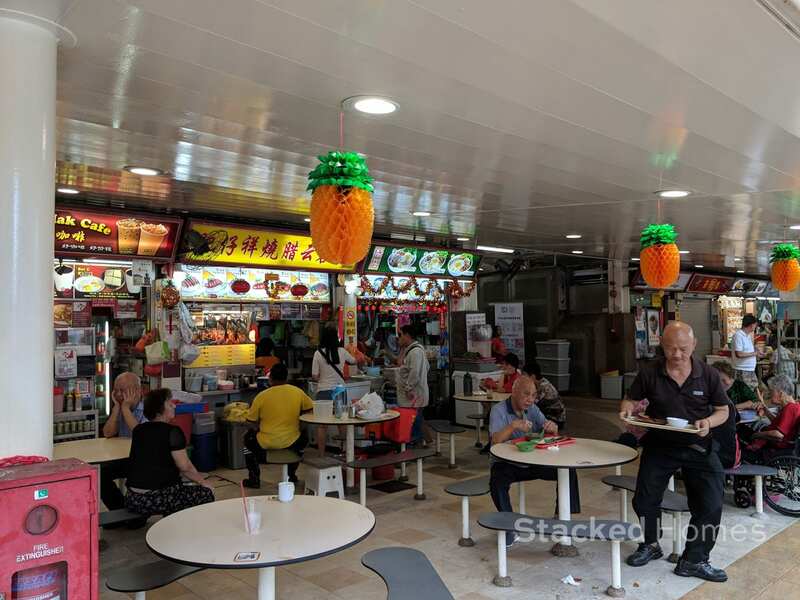 Check out the Burpple guide to Redhill Hawker Centre for a ton of tips on the most tasty and cheap hawker food in the area. Further down Alexandra Road, one can find Ikea (if you are into Swedish meatballs), Alexandra Central, Anchorpoint and Queensway shopping centre. 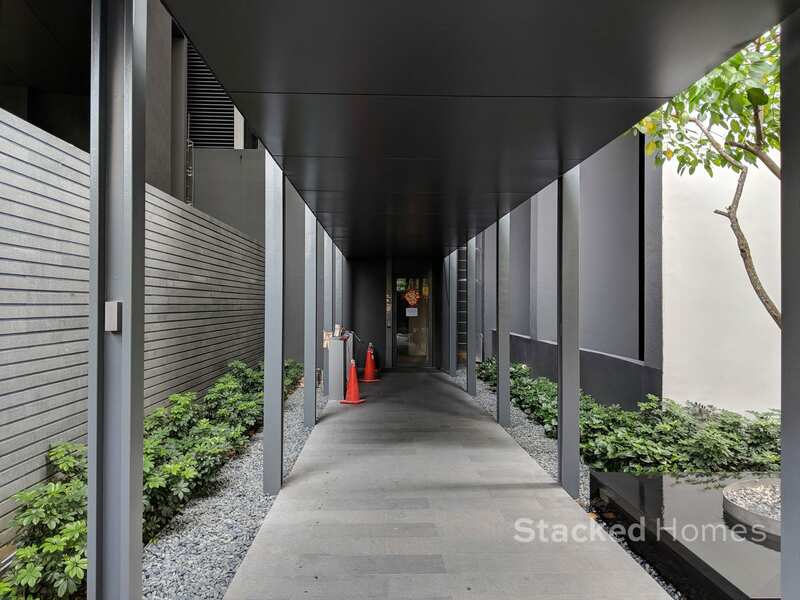 At Tiong Bahru itself, there is the recently revamped Tiong Bahru Plaza, and not to mention all the hipster cafes in the Tiong Bahru enclave. Valley Point is also an option, although to be fair it is quite limited. Great World City would probably be a better option, especially when its latest upgrades are complete. 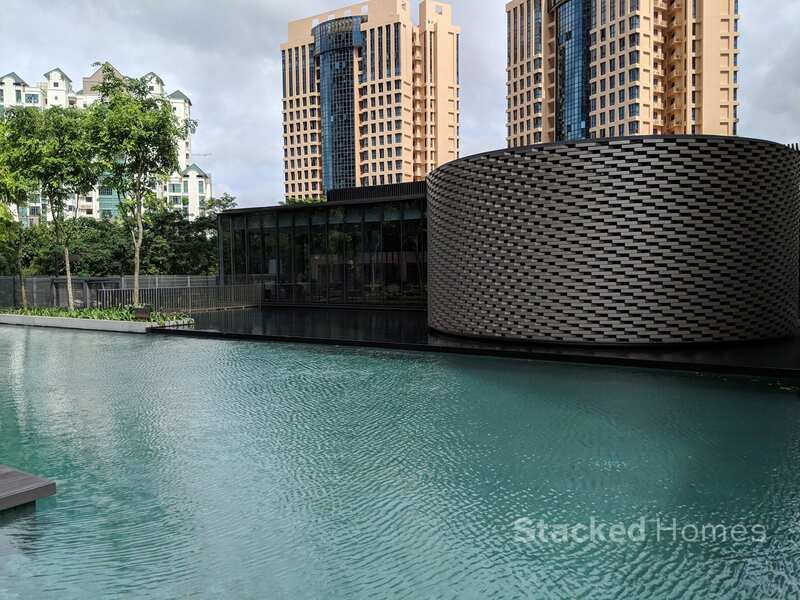 And if that is still not enough retail therapy for your needs, the Orchard Road shopping belt is just a 5 minute drive away. 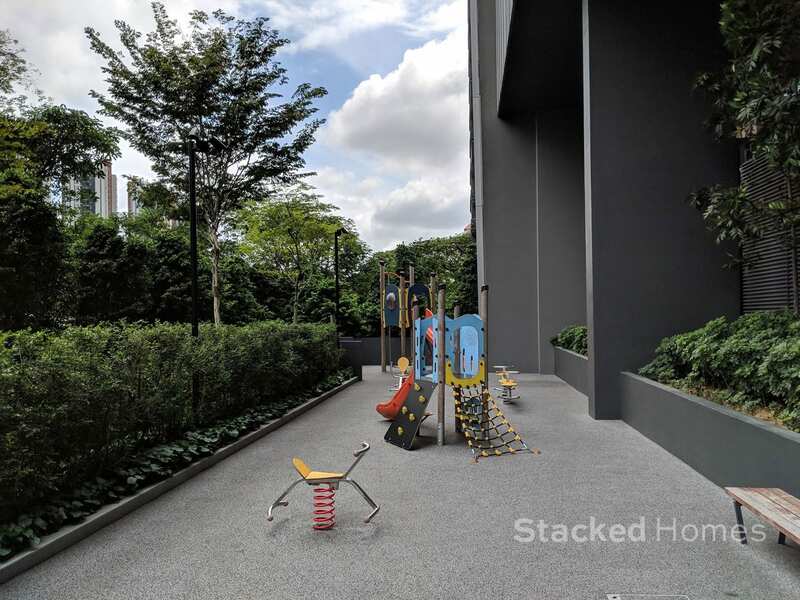 Lastly for schools, notable ones in the area would be Alexandra Primary School, Gan Eng Seng, Crescent Girl’s, Henderson Secondary School and Queenstown Secondary School. 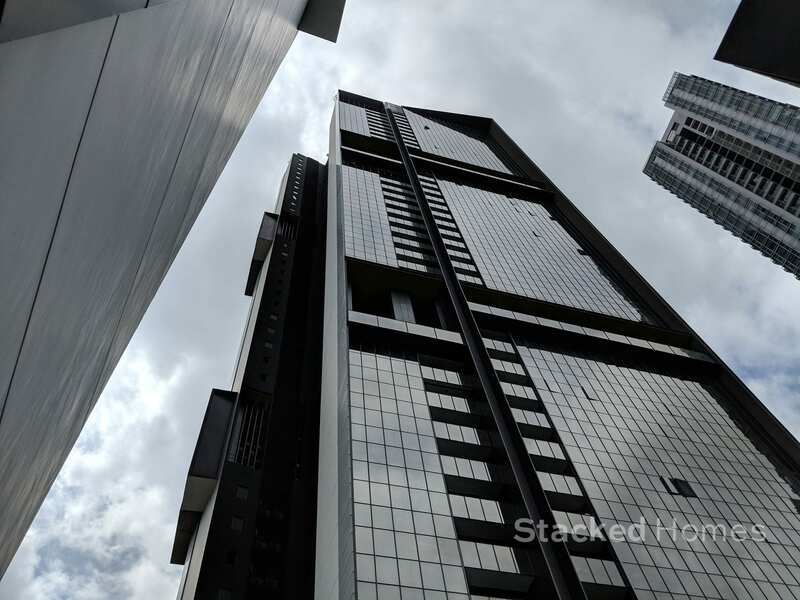 MDIS is also located at the Stirling Road area as well as the Global Indian International School. 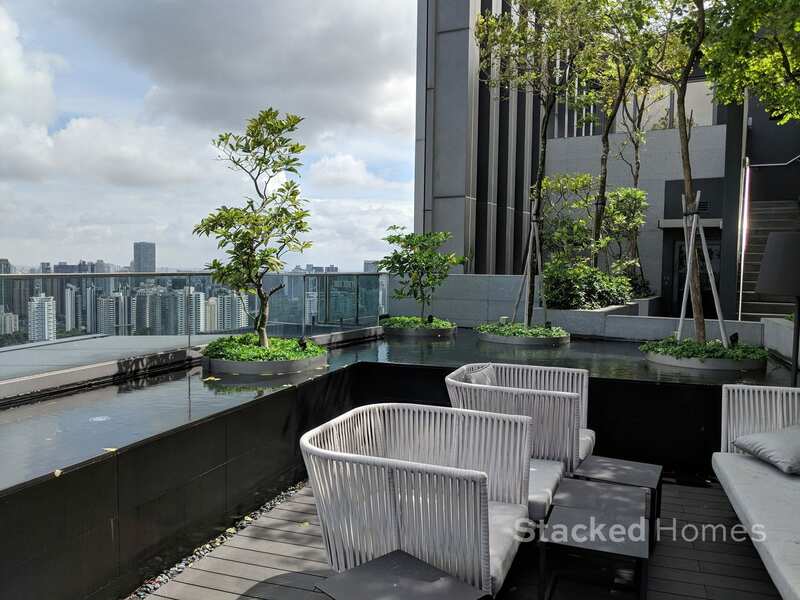 The Echelon Condo sits on a nice rectangular plot of land. 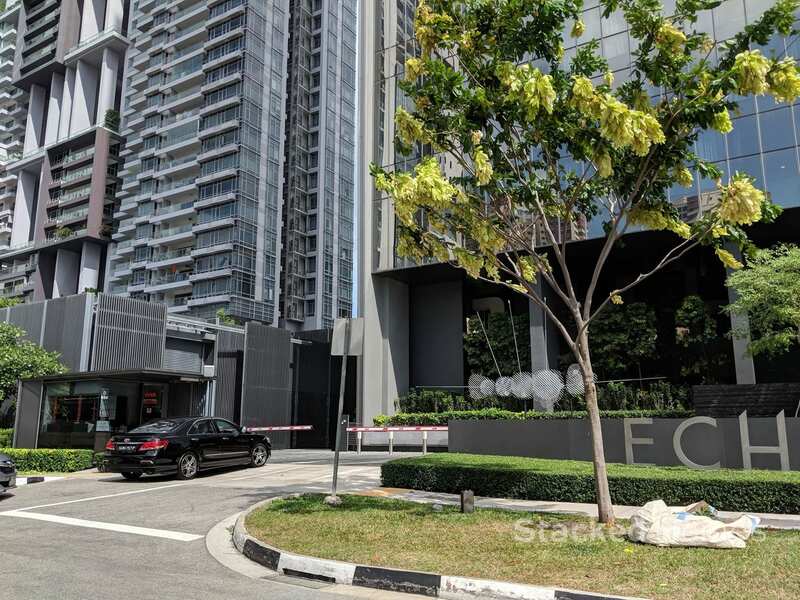 It is easily accessible via Alexandra Road, which is a major road but it is a pity that you cannot access the condo directly from the main road if you are driving. 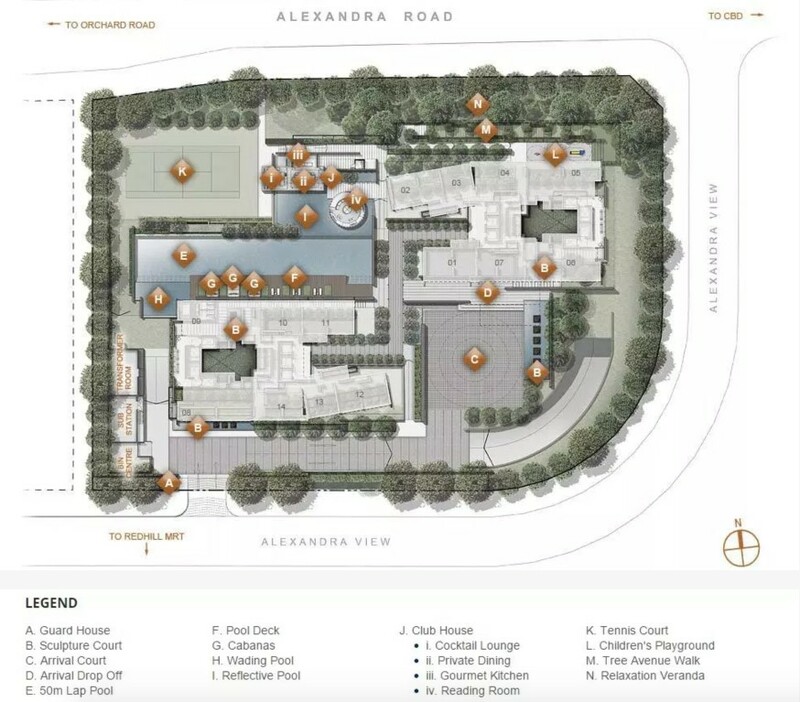 Alexandra View is just a one lane road so during peak hours it might get a little congested as it currently serves 2 condos, with a third (Artra) along the way soon. 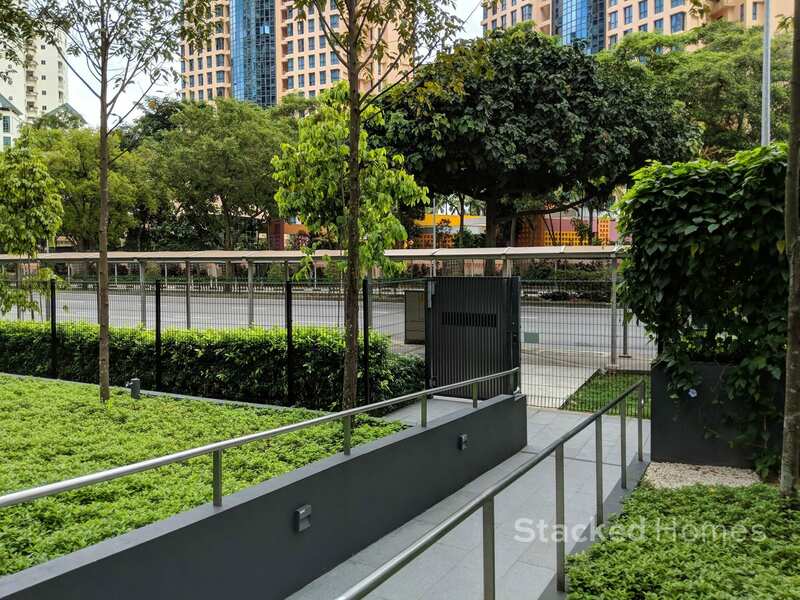 From the main entrance, you would just have to cross Alexandra View and walk along a short pathway to get to Redhill MRT station. 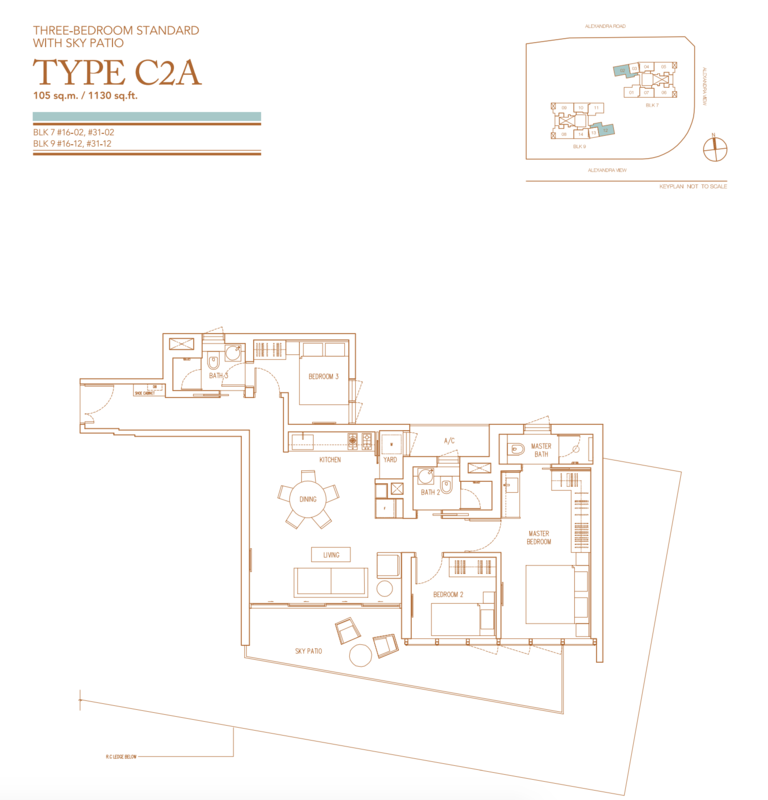 From this you can see that although the emphasis is on the 2-bedroom units, there is quite an even spread between the other units. 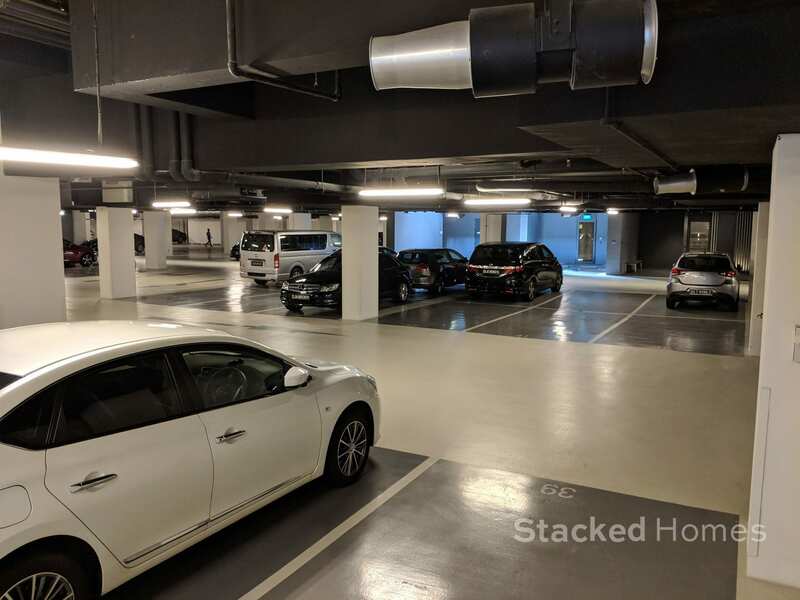 The carpark lots are allocated on a one lot per unit basis, but there could be more carpark space as the smaller units will most likely be geared towards rental due to its proximity to the MRT and the CBD. Entrance to the Echelon condo. The driveway is only a single lane, but it is wide and spacious. 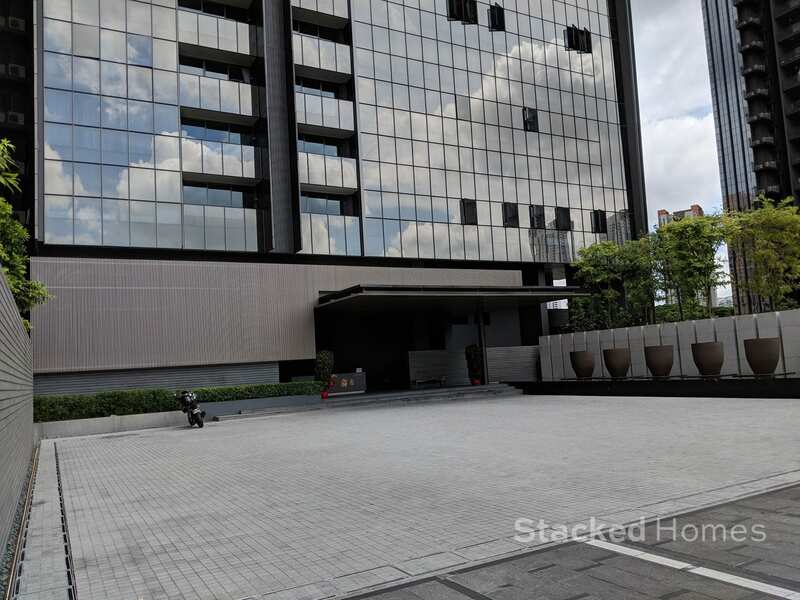 It leads you to the huge arrival area, and the expansiveness of space that is dedicated here makes it feel very premium, just like if you were to arrive to a top 5-star hotel. The rather big water fountain area just adds to the grandness of the arrival court. Upon alighting, it will lead you to a reception area. 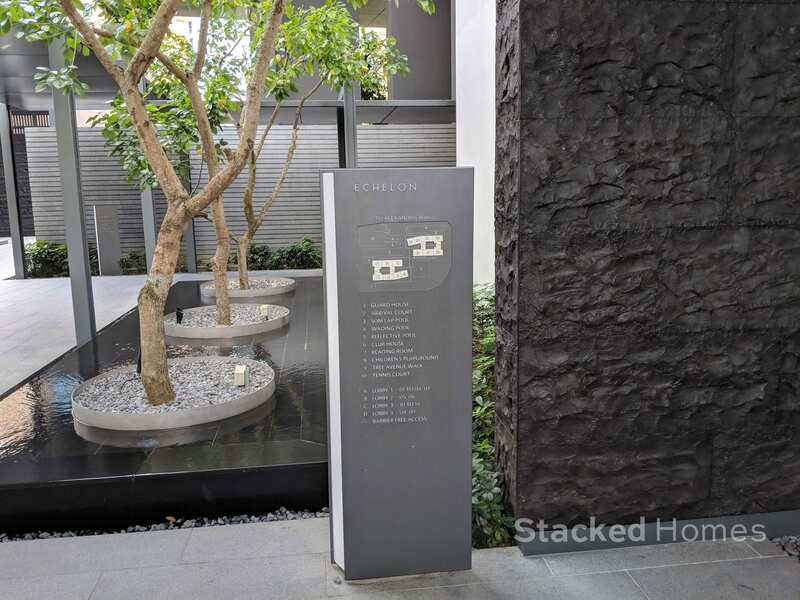 If you have visitors, they will have to be dialled up to be able to gain access to the condo. 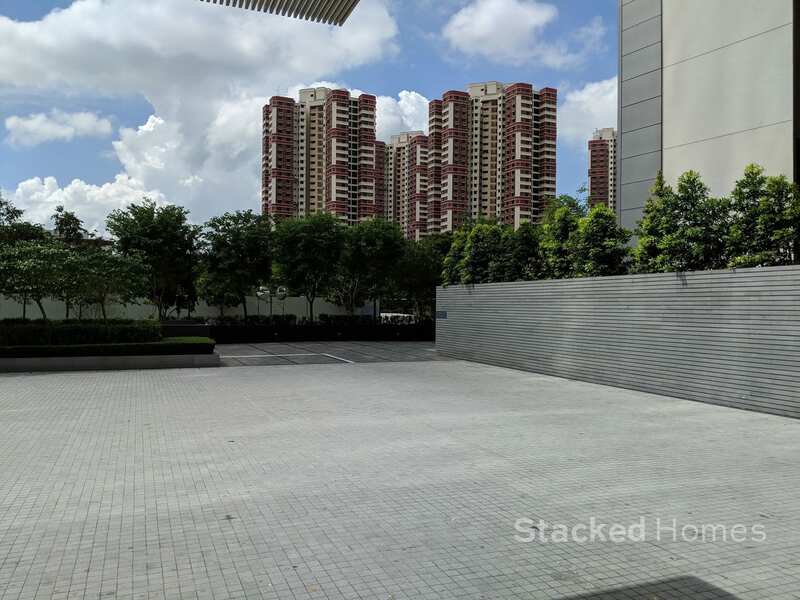 The carpark is nice and spacious, with each lot clearly demarcated and is wide enough for even big cars. No more squeezing to get into your car anymore. 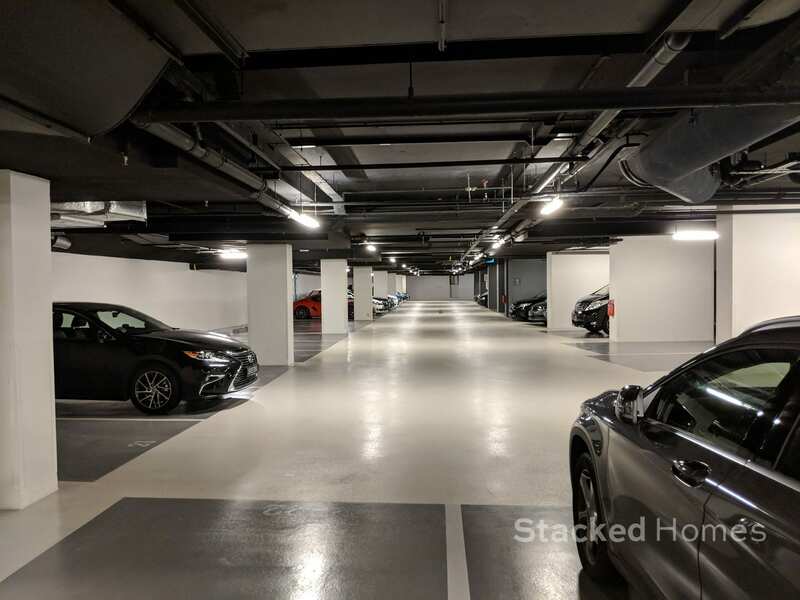 None of that cheap rough concrete carpark feeling as well, the carpark here is of the same standard as high end shopping malls like Ion Orchard. 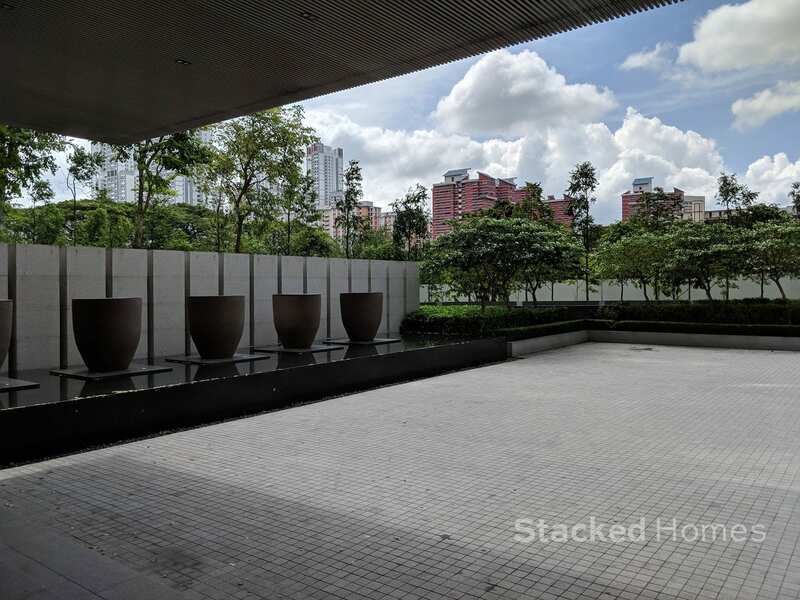 The lobby area is nice and minimalist, as you await your lift. Top view of the 50m lap pool. 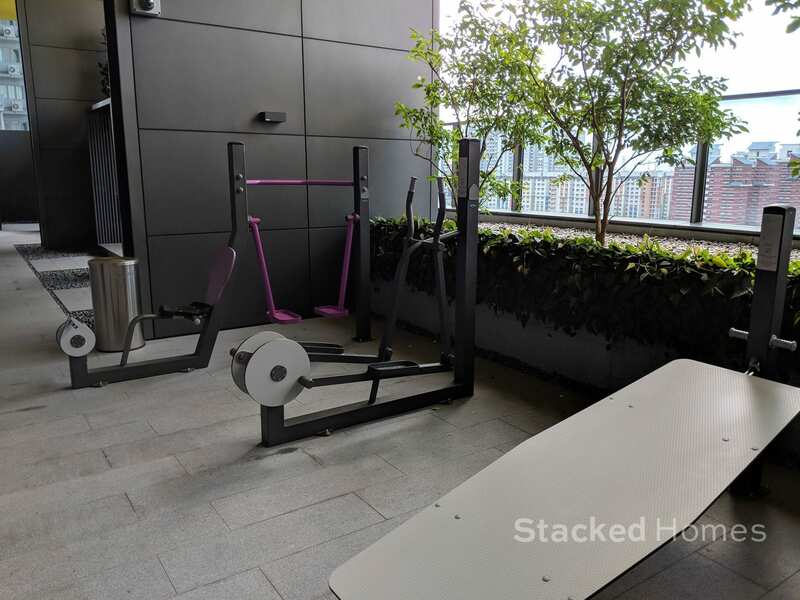 Outdoor gym, which every condo seems to have nowadays. 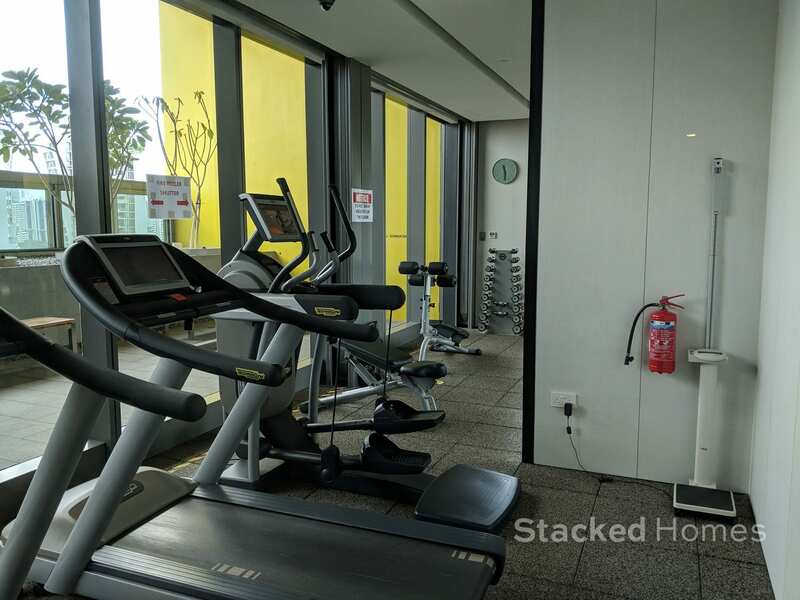 Thankfully, there is a real air conditioned gym as well. 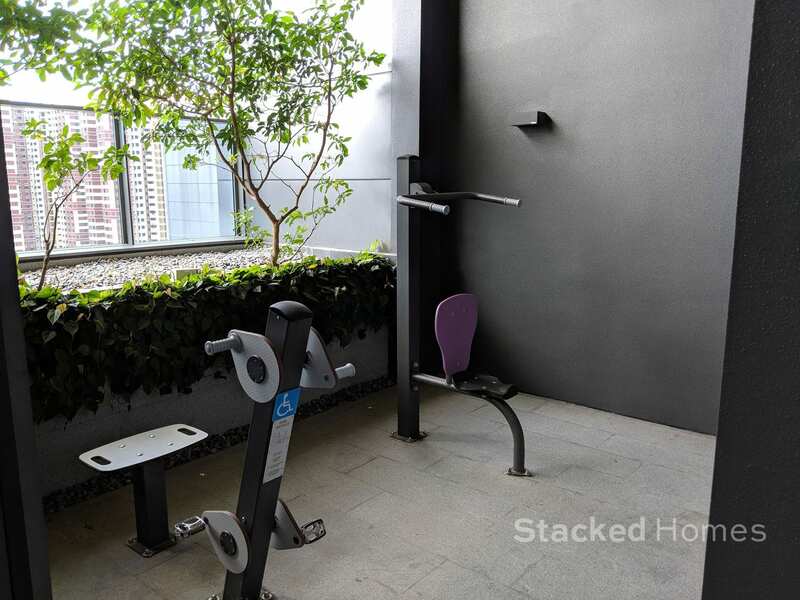 If this seems a little small for a 500 unit condominium, not to worry as there is actually a gym in each block! 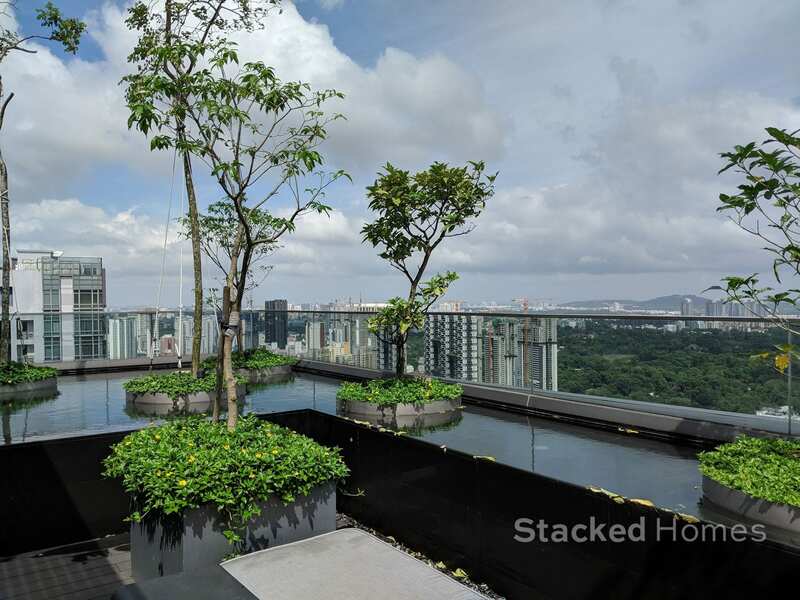 The real attraction here is the view from the highest floor, where you get lovely views over Singapore. At this height, your view is basically unmatched and unblocked. Entertainment area for whenever you have guests over, its a great spot to have a bbq/catered meal for family and friends. There are even more seating areas on the other side. Over on the other side is another round seating area. Even on this side you get unblocked views so really, you cannot go wrong either ways. Now for the main swimming pool area, it is a 50m lap pool, so it should be more than enough for your swimming needs. There are lots of sun loungers by the pool as well. 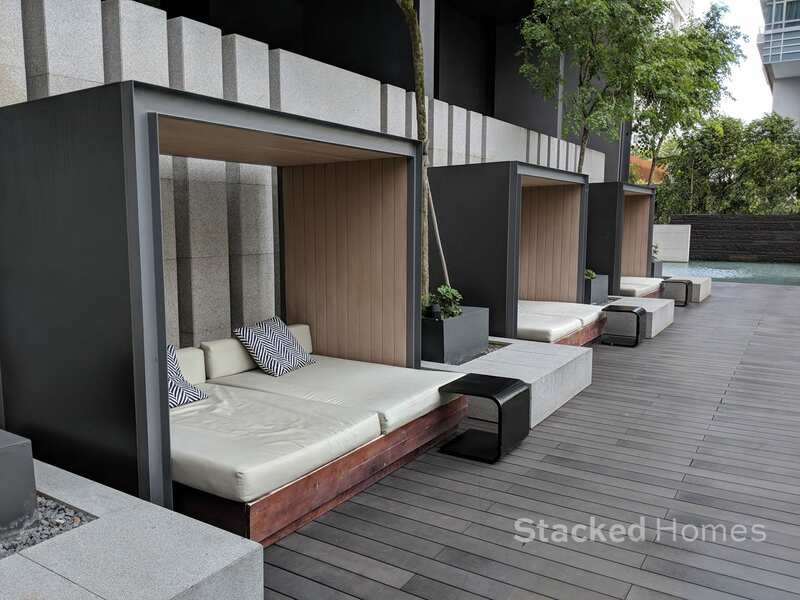 And even cabanas to just laze around and chill by the pool. Definitely very resort like. 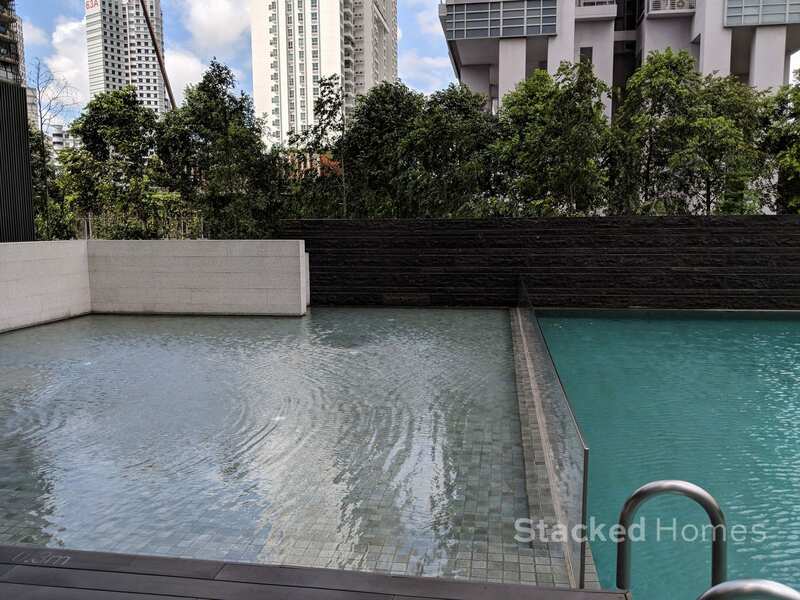 There is a wading pool over at the corner as well, for kids to frolic about. The mandatory kids playground tucked away. The clubhouse contains a reading room and a fancy living room with some cooking equipment as well to entertain your guests. 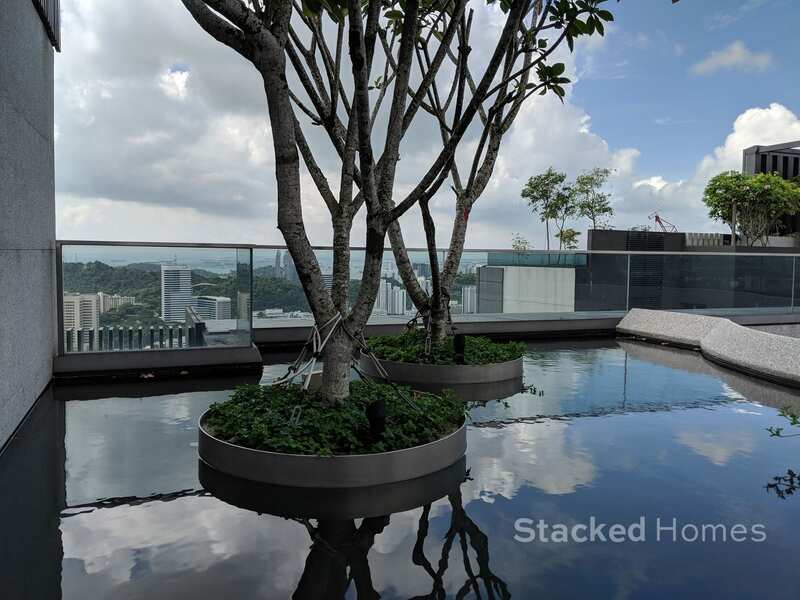 Its a really nice designed area with views towards the swimming pool. As you can see the dining table is really large, so this room can easily contain more than twenty people. 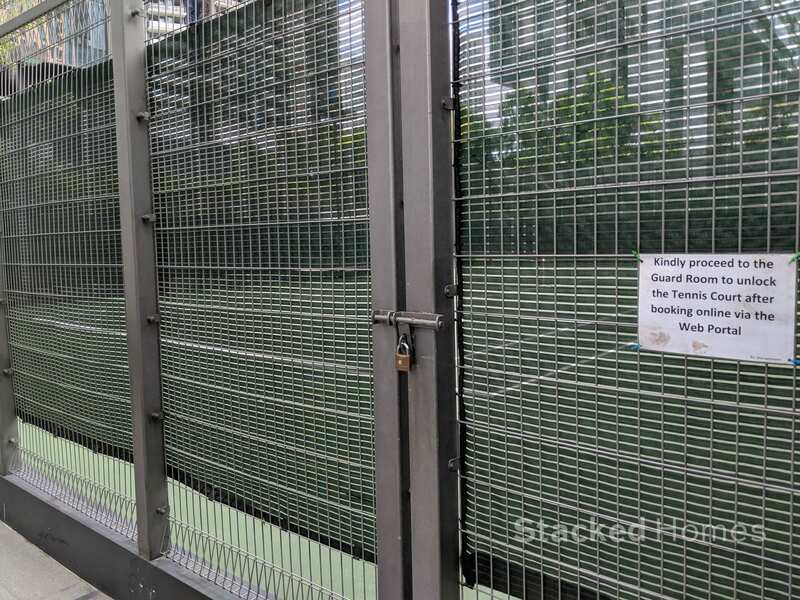 There is also a tennis court just below the clubhouse. From the clubhouse, it also leads out towards Alexandra Road, where the bus stop is at as well. There is also a sheltered overhead bridge, a very much more convenient way to get to the other side. 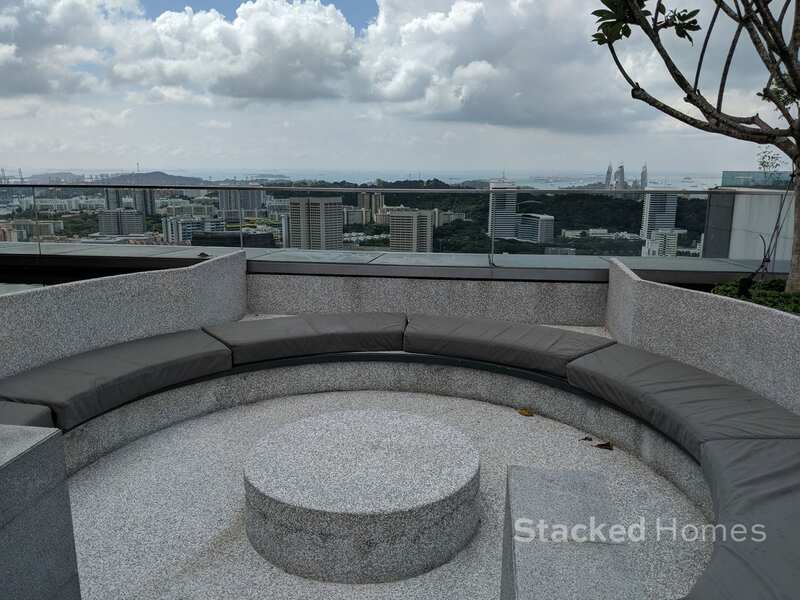 Now, let us take a look at a 3 bedroom with sky patio. 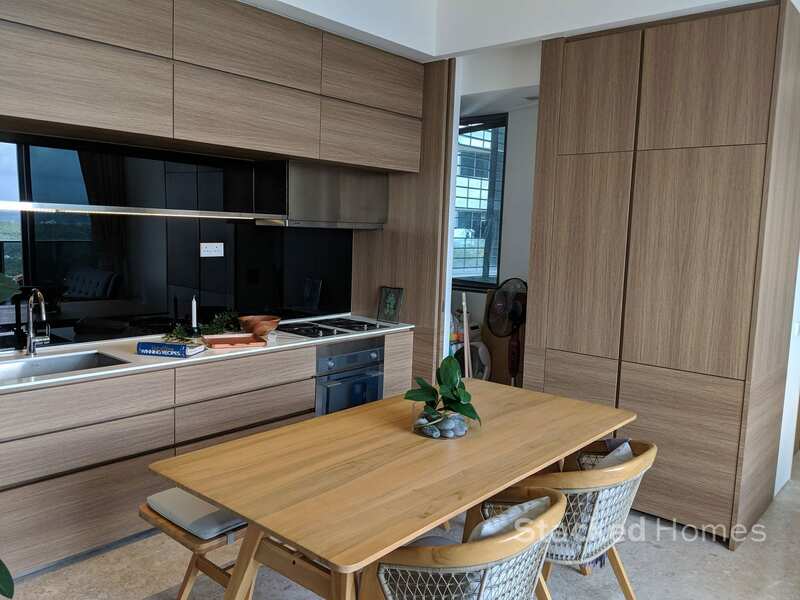 The 3 bedroom at the Echelon condo has a nice integrated kitchen. 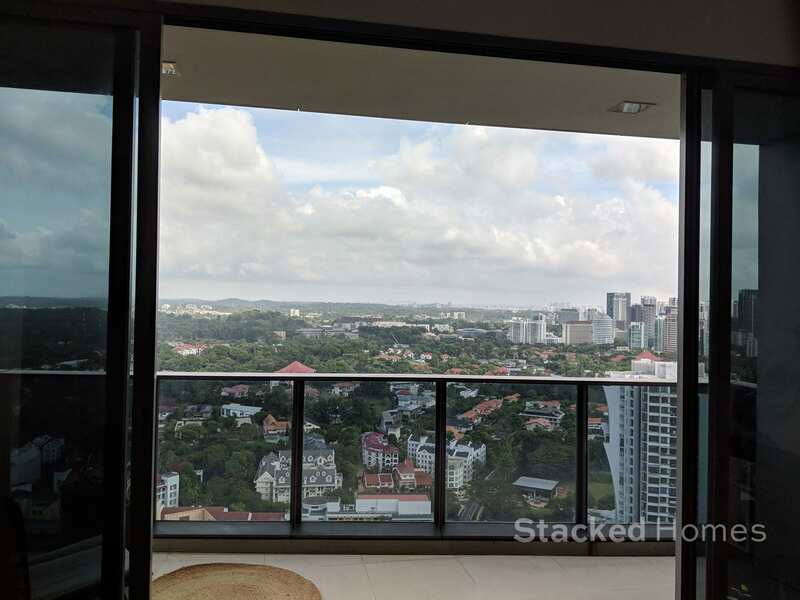 But the main selling point is really the expansive gorgeous views from the living room. 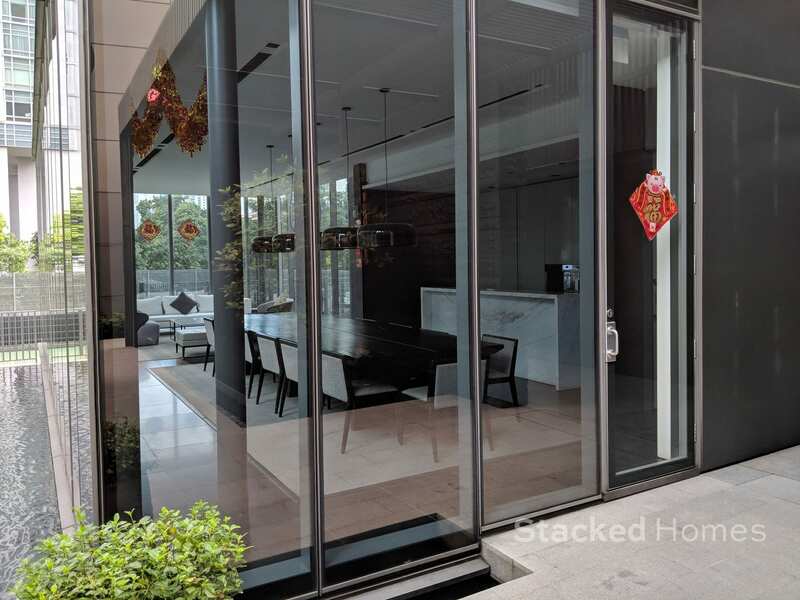 The balcony is also a nice usable size, it can fit a small dining table for entertainment needs. 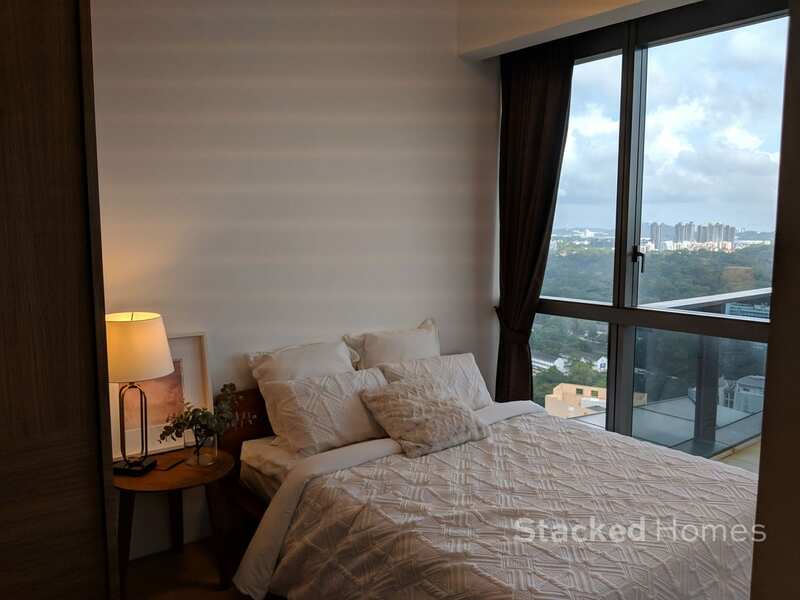 The master bedroom enjoys similar views as well, and is quite large for a modern condo in Singapore nowadays. The second bedroom is of an adequate size, but who would complain with such fantastic views! 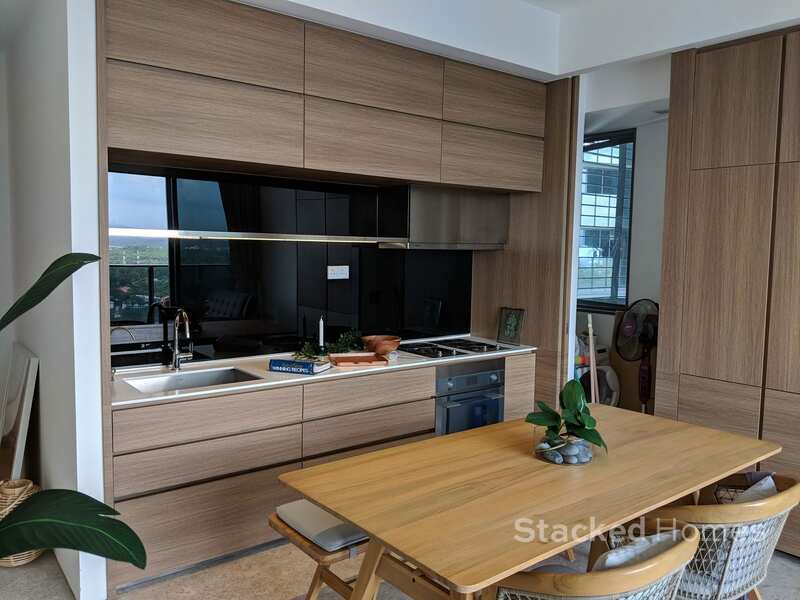 The Echelon condo is suited for the young modern well heeled individual, who wants the convenience without the high price of living in the city centre itself. 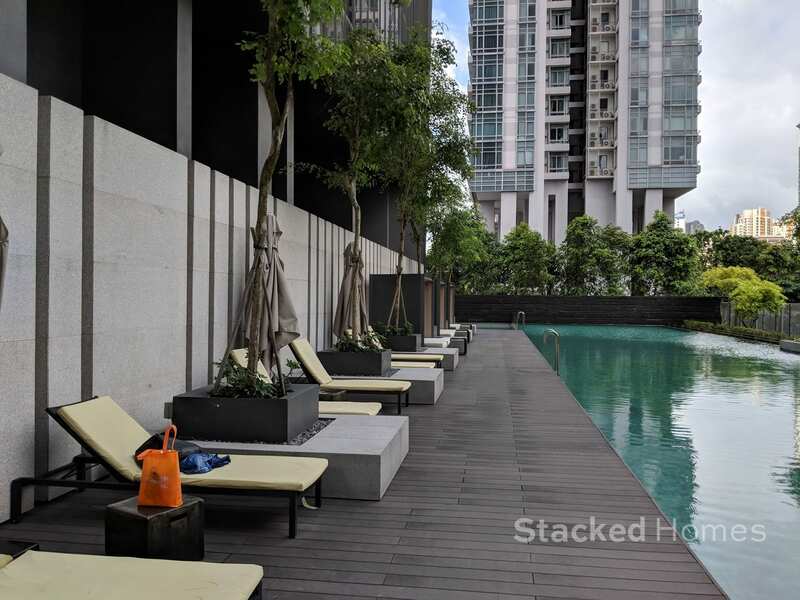 It offers a great blend of modern living, great transport options and lovely views. 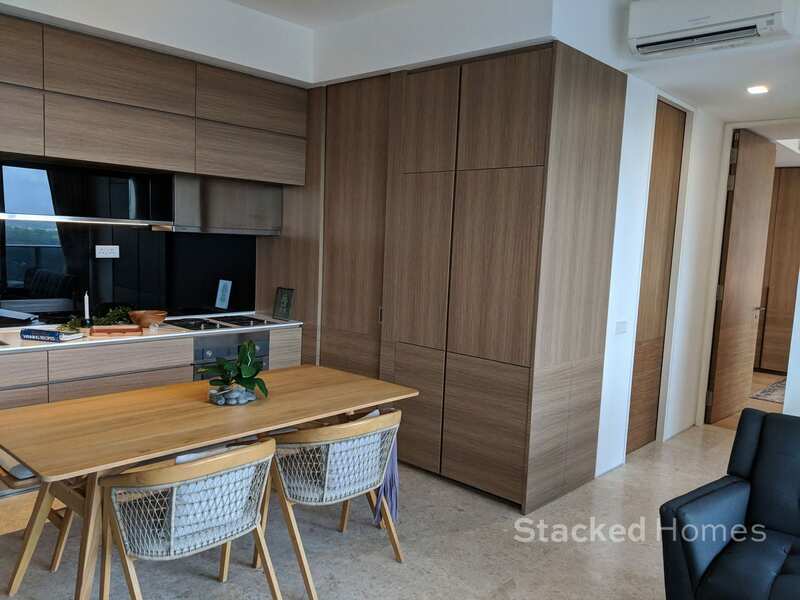 With the well proportioned unit mix, young smaller families have a great option as well. 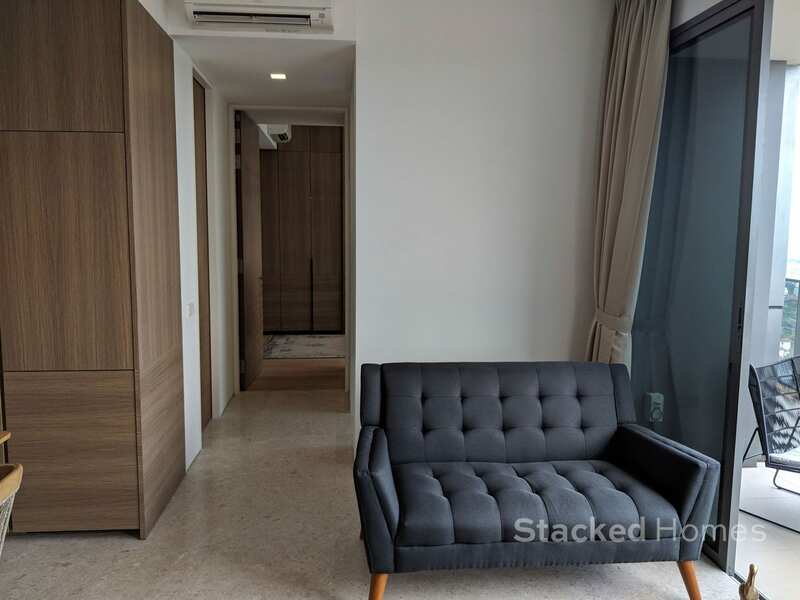 Being in a mature estate is really a big advantage here, amenities and food options are plentiful, and one of the best things is the close proximity to Redhill MRT. 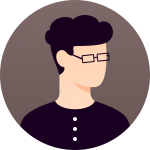 Looking for other condo reviews? It’s all here. So that is it for our Echelon condo review! 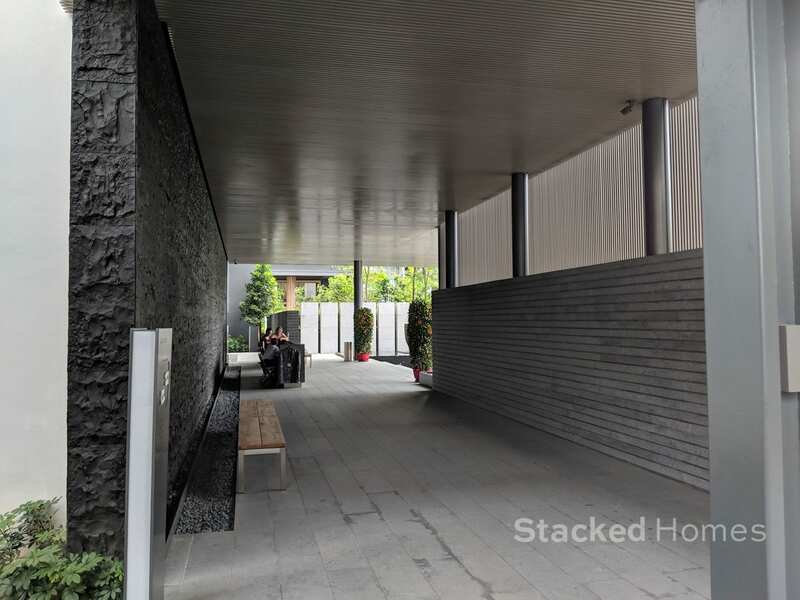 As always feel free to leave a comment below or you can always reach us at hello@stackedhomes.com!